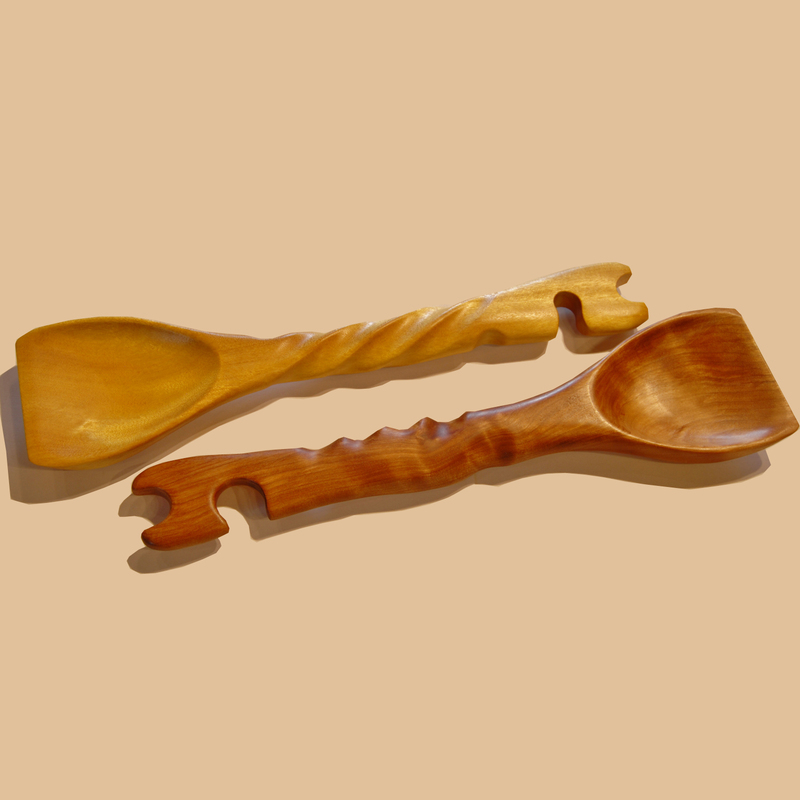 Our handmade spoons and coffee scoops are each individually sculpted utensils for your kitchen. At The Spiral Spoon, we want to make every meal special, and our handmade spoons and coffee scoops bring some fun and style to every meal. Why wouldn’t you want to start your day with something special? Our handmade wooden coffee scoops can turn an ordinary routine into an opportunity to bring a little beauty and art into your morning routine. Each of our serving and cooking spoons takes hours to create, starting with meticulous work with a band saw before moving to careful sanding. We use a water-curing technique, which allows us to make the spoons extremely smooth. Afterwards, the spoons are treated with a special combination of mineral oil and beeswax to seal, preserve and protect the spoon during everyday use. 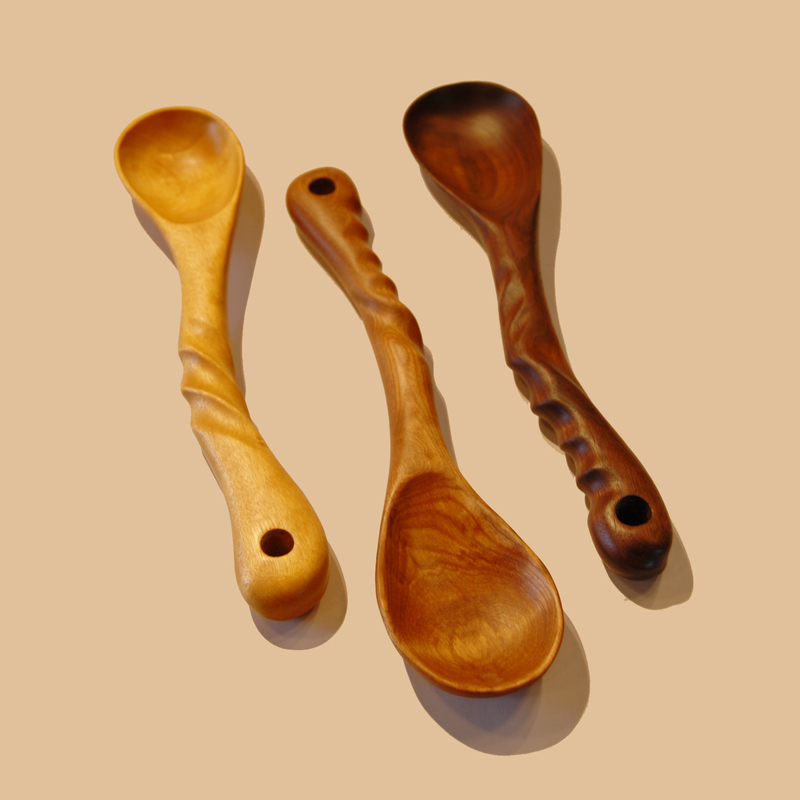 No two handmade wood spoons or coffee scoops are the same, and whether you are looking for something functional and fashionable to get some coffee or a unique serving spoon, every spoon we create is beautiful. Take a look at our great selection or contact us today for more information on special needs or custom orders! All orders ship via United States Postal Service – Priority Mail. UNITED STATES web orders ONLY! Shipping is included. Please allow 1-2 weeks for delivery. Photos shown represent the style & the wood of the product. The utensil you receive will vary slightly.